Tadelle Dessie, program leader at the International Livestock Research Institute (ILRI), introduces himself and his work with the program. 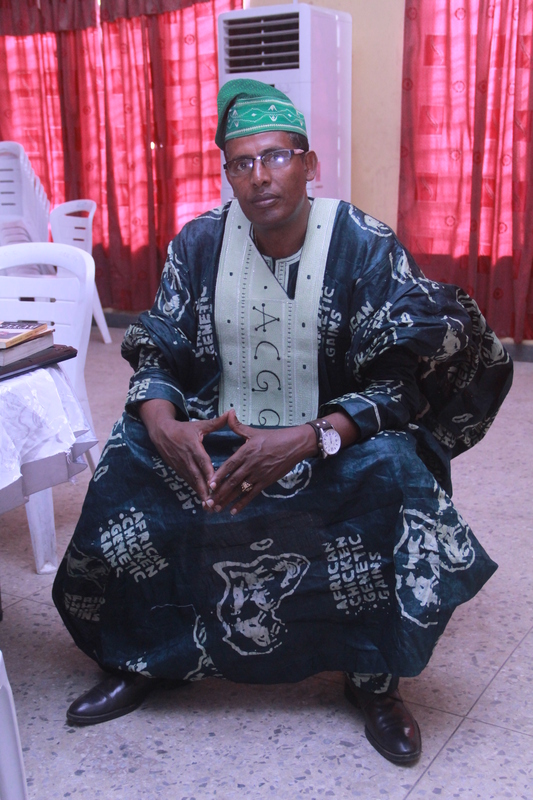 It is one of a series of portraits of key people in African Chicken Genetic Gains (ACGG). I am an animal breeder and geneticist by training. My first degree was in animal sciences and later I undertook postgraduate training in animal breeding and genetics. I am the project’s principal investigator (PI) and leader. I oversee and lead all aspects of the implementation of the five-year ACGG project in Ethiopia, Nigeria and Tanzania. The PI’s role is to foster effective partnerships through team-building and communication across the national and international partners including donors, stakeholders, agribusinesses, multinational chicken breeding companies, researchers, development practitioners and policymakers on top of day-to-day management and scientific leadership of the project and its staff. 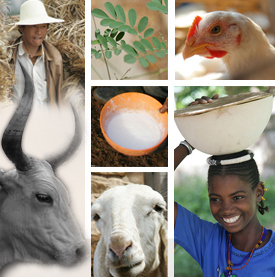 ACGG is part of ILRI’s LiveGene initiative, which provides overarching synergy and coherence to ILRI’s genetics activities. In addition to following up on the setting up and implementation of the on-farm and on-station testing of different chicken strains from different countries in coming months, I will be focusing on the development of the ACGG Long-Term Genetic Gains (ACGG-LTGGs) Program. The ACGG-LTGG program aims to establish ‘a multi-country and context-specific public-private partnership (PPP) network’ for a long-term genetic gains that will continue to improve and deliver tropically-adapted and farmer-preferred chickens for sustainable productivity growth in sub-Saharan Africa. The program will be flexible (context-specific) and scalable to other African countries. The envisaged partnership that will be coordinated by ILRI and formed between the National Agricultural Research System (NARS) in Africa and private chicken breeding companies will be the driver of the program from design to implementation in the three countries. We want to set up a functional public-private partnership in the current program and strengthen it further so that it can drive breed improvement, multiplication and delivery of the chicken genotypes that smallholder farmers prefer. The immediate goal of the ACGG-LTGG program is to increase farmers’ access to high-producing, agro-ecologically appropriate and preferred chicken to make smallholder chicken production a pathway out of poverty for their households. For me this project is important because it is working with women who are the ones who mostly own, manage and trade chickens and their products in smallholder systems in Africa. Women are at the centre of our efforts right from the identification of the constraints, definition of breeding objectives, testing of the improved lines for suitability as well as participation in the innovation platforms that are co-creating solutions to identified constraints. I am excited because I believe this project will bring about a farmer-centric, public-private partnership model for chicken genetic improvement, poverty reduction, increased household animal protein intake and empowerment of women farmers in rural communities. Accessing and sourcing the right genetics for the project countries is my major concern but the project team in partnership with our national government authorities is working hard to get over the anticipated challenge! For me the lasting impact of ACGG should be establishing a functioning multi-country network of public-private partnerships for long-term chicken genetic improvement that has the capacity to use modern tools to drive accelerated genetic gains and sustainably deliver more productive, farmer-preferred breeds that results in the improvement of egg production of farmer preferred tropically adapted strains from 180 eggs/hen/year (base population) to 240 eggs/hen/year by 2030 -2% annual genetic gains. I would also like to see the delivery of farmer-preferred genetics become a catalyst and pull factor for improving the wider African chicken production system – triggering input supply and better marketing in a dynamic chicken value chain. Tags: Tadelle Dessie, voices, women. Bookmark the permalink.